The 13-strong longlist of popular science books vying for the prestigious 2006 Aventis Prize has been announced. 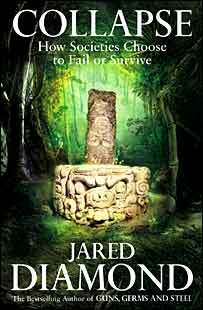 Authors in the running include two previous prize winners, Jared Diamond and John Emsley. The award, which celebrates the very best in popular science writing, is now in its 18th year. A cash prize of £10,000 and a certain sales boost await the winner, to be announced on 16 May at a ceremony at the Royal Society in London. A five-strong judging panel will now have the difficult task of selecting a shortlist of six books from the current 13. Chaired by journalist Nick Ross, the panel consists of: Johnny Ball, broadcaster and author; Steve Jones, professor of genetics; Anjula Mutanda, consultant psychologist for Big Brother, and Fiammetta Rocco, literary editor at the Economist magazine. Fiammetta Rocco, on announcing the longlist, said, "This year's submissions were of remarkably high quality, which made the job of picking out just a dozen books especially difficult. In fact, the longlist has 13 books because we didn't want to lose a single one. "The diversity of subjects, the excellence of the writing, the singularity of individual voices; all of these contributed to remind us that writing, and reading, about scientific ideas can be a tremendously exciting experience." Recent prize winners include Bill Bryson, Stephen Hawking and Philip Ball, whose book, Critical Mass: How One Thing Leads to Another, scooped the 2005 award. "This stuff is so accessible it is sometimes hard to put down, and the science is so absorbing and surprising it can make fiction seem dull. Science writing used to be full of impenetrable jargon, but these books are a joy," said Nick Ross. The Aventis prize is managed by the Royal Society, the UK's academy of science, and supported by the Aventis Foundation.